On July 9, 2018, Google announced that their Speed Update has officially rolled out for all users. Page speed is now a ranking factor for mobile searches on Google as part of their plan grand plan to move towards faster, more optimized web browsing on mobile devices. “Speeding up websites is important — not just to site owners, but to all Internet users,” stated Google on their Webmaster Blog. In the past, Google has used your desktop content to determine your website’s ranking for both desktop and mobile. However, most people now access the Internet with their mobile devices. According to Google, over 50% of global search queries come from mobile devices. The company has also stated that more Google searches take place on mobile devices than on computers in the US. 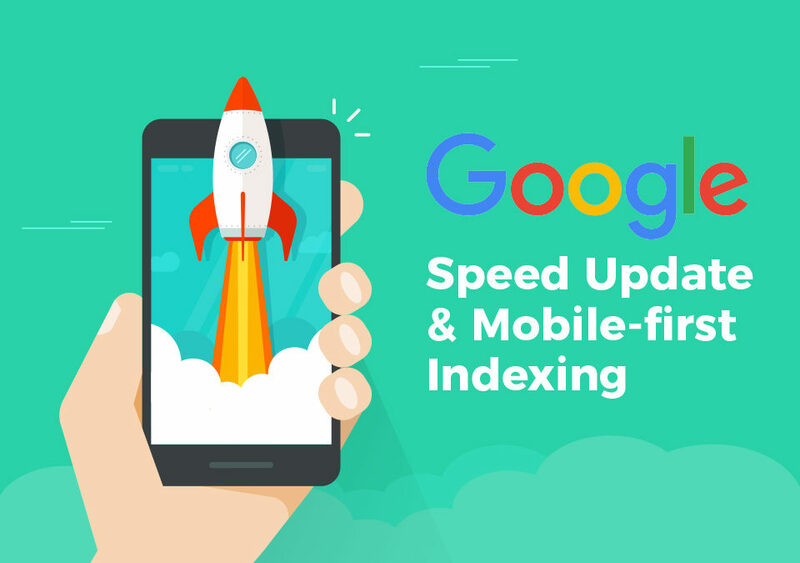 With high demands for immediacy in mobile web searches, it’s no wonder Google made the switch to mobile-first indexing on March 26, 2018. If you are unfamiliar with Mobile-first indexing, it is exactly what it sounds like. The mobile version of your website is the primary starting point for what Google includes in their index, which is used as a determining factor for your search ranking. The desktop version of your site will still be included in the index if it’s not responsive, but this could negatively impact the rankings of the site. Did you know: Recent studies indicate that 47% of consumers want a web page to load in two seconds or less, and 40% of viewers leave a website if the loading process takes three seconds or longer. Google has stressed that the Speed Update will only affect pages that have significantly slow performance, which should only affect a small percentage of queries (fewer than 1%). However, the company also stated that the update applies the same standards to all pages, regardless of the technology used to build the page. While page speed and mobile responsiveness are now very important things to consider, it still doesn’t carry as much weight as page relevancy. It’s important to be mindful of all aspects of your website if you want to rank well in Google searches.